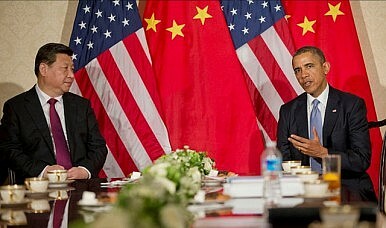 The current state of Sino-U.S. relations worries many people, not only in both countries but throughout Asia. Renowned Chinese scholarWang Jisi recently warned that China is increasingly concerned about a slide in its relations with both the U.S. and Japan. A simultaneous downturn in two major bilateral relationships would put Chinese foreign policy in a deep hole. After all, the U.S., China and Japan are the three largest economies in the world, and a serious conflict between any two of them would be devastating. A conflict involving all three would be catastrophic. Presidents Xi Jinping and Barack Obama will meet this month following the Asia Pacific Economic Cooperation (APEC) Leaders’ Meeting. Although both countries will strive to reach significant agreements during the meeting, a real breakthrough in relations can be all but ruled out. In the background to the many specific issues lies the ‘“new type of major power relations” concept that Xi proposed – once again – when last he met with Obama, which was at the informal Sunnylands summit in June 2013. While China has been making efforts to promote this new concept, the U.S. has been reluctant to embrace it for a number of reasons. As a recentarticle in Foreign Affairs by Andrew S. Erickson and Adam P. Liff warns, the “new type of major power relations” slogan is a trap for the U.S. and Obama should definitively abandon it when meeting with Xi at APEC this year. This negative view of the slogan is becoming increasingly popular in U.S. policymaking circles. Indeed, in recent meetings with Chinese leaders, the U.S. president and other senior officialshave avoided using the “new type of major power relations” slogan. Their dilemma is this: Accepting China’s new slogan would send the wrong signal to American allies in Asia and potentially weaken the dominant U.S. position in the region; but rejecting the slogan outright would make cooperation with China on a wide range of issues very difficult, if not impossible. This dilemma is rooted in conflicting interpretations by Washington and Beijing of the slogan’s meaning. What China wants to achieve with the slogan is increased status and influence, while the U.S. views a “new type of major power relations” as finding solutions to global problems. How can China and the U.S. narrow their interpretations of what a “new type of major power relations” actually means? How can the two conflicting views converge? First, the U.S. must acknowledge China’s growing influence by gradually sharing power with China, as former Australian diplomat Hugh White argues. It is unrealistic for the U.S. to continue to believe that it can dominate Asia as it has done for the last 60 years. Shifts in the distribution of power naturally lead to new power structures. All great powers rise and fall; the U.S. will be no exception. For China, it should be clear that the U.S. will remain a superpower for many years to come, and thus it is unwise to challenge the U.S. directly or attempt to force the U.S. out of Asia. This also means that China should continue to respect U.S. hegemony in Asia while also seeking to increase its own influence. China will probably not be able to comprehensively compete against the U.S. until the 2040s, even though China’s overall GDP might surpass U.S. GDP at an earlier time. This is not another version of the G2 model that was popular a few years back. Nor is it about dividing Asia into a Chinese sphere and a U.S. sphere – it is impossible to do so. What it does suggest, however, is that both China and the U.S. should be sensitive toward each other’s core national interests. Essentially, what the leaders of China and the U.S. should focus on now is managing and controlling their differences and moments of tension, ensuring that the long-term trajectory of the bilateral relationship is not derailed by an avoidable crisis or misunderstanding. If solutions to mutual problems that satisfy both sides cannot be found, it may be wise to just shelve the differences and focus more on common interests where progress can be made. “Seeking common interests while preserving differences,” as a Chinese saying goes, is still good advice for Xi and Obama. Dingding Chen is an assistant professor of Government and Public Administration at the University of Macau.